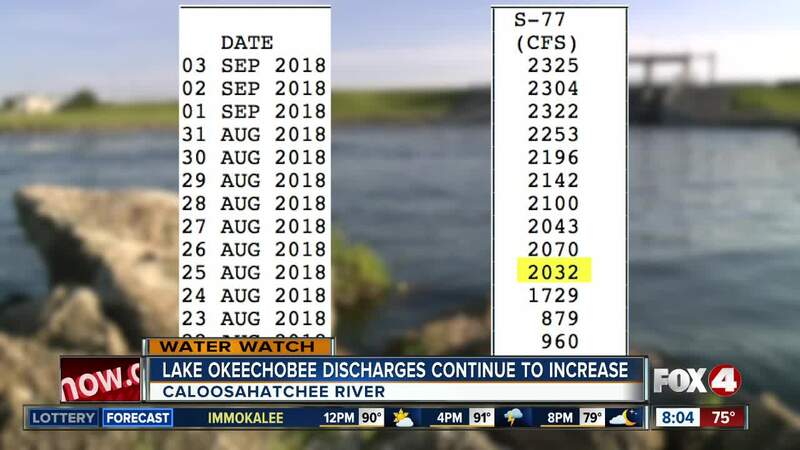 The amount of water being discharged from Lake Okeechobee has gone up nearly every day in the past two weeks. The Army Corps of Engineers keep a list of how much they discharge into the Caloosahatchee River. They’ve been releasing thousands of more gallons into the river than they originally averaged out. The increased discharges started on Aug. 24th. They averaged 2,000 cubic ft. per second each day which is more than 200 million gallons. However, a chart shows that the releases have gone up almost every single day in the past two weeks. In fact, it’s gone up every day in the last ten days. The Army Corps said the discharges would vary depending on rainfall. Southwest Florida received a lot of rain from Tropical Storm Gordon so the lake level might have gone up. The Army Corps said the lake level is too high right now, which is why they increased the releases. On Sunday, before the storm, the lake level was at 14.57 feet. 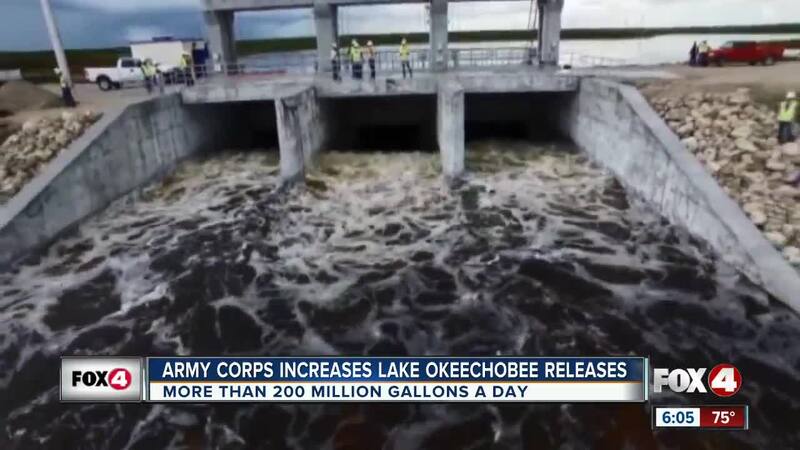 The Army Corps said they are working with the South Florida Water Management District to store more water North and South of Lake Okeechobee. That way, fewer discharges are needed. The increased releases are scheduled to end Friday. Fox 4 is working to find out if the releases could be extended.